New Year's Resolutions - How to make a fresh start and begin again! This is the first official show which is an extension of the groundbreaking book that was also launched New Year's Day - Jan. 1, 2014, to coincide with New Year's resolutions, when many people are motivated and inspired to make a fresh start and begin again. 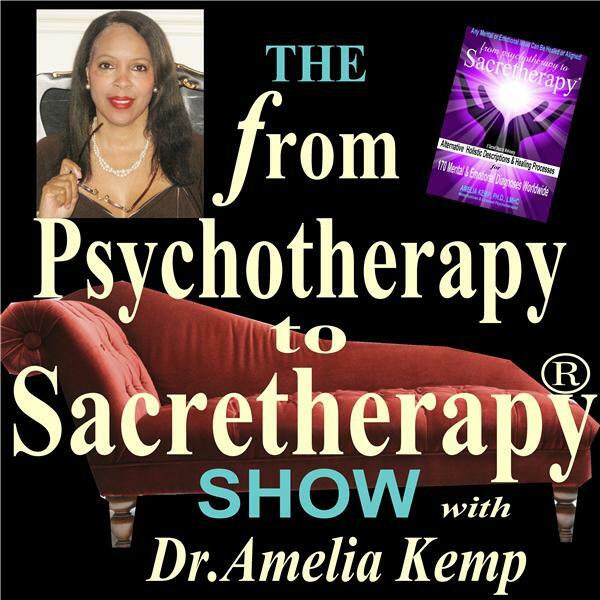 This first show (like the book titled: From Psychotherapy to Sacretherapy - Alternative Holistic Descriptions & Healing Processes for 170 Mental & Emotional Diagnoses Worldwide!) gets to the core of the matter of what has often stopped people from making changes and living the life they want to live during the year, and how to summon the hope and inspiration gathered from New Year's celebrations all year long. start releasing your hold onto the negative aspects of life that has already been lived. realize that all that you want is still possible and totally achievable as Dr. Kemp also walks you through a holistic visualization from the book that allows you to feel as though you just began your life today! Tune in at 7pm today for the live show and feel free to call in if you have a question at (toll-free) 1-347-677-0795. The live show will air weekly on Tuesdays at 7pm. If you miss the show feel free to listen to the archived podcast available 24/7. You can also send a question to Dr. Kemp via her website at: DrAmeliaKemp.com that will be answered on the next show. The book is now available at most booksellers and Amazon.com.